We are expecting to see a number of devices from Sony at Mobile World Congress later this month, one of those is the Sony Xperia Z2 smartphone, and now it looks like Sony will also launch the Sony Xperia Z2 Tablet. According [email protected], the Sony Xperia Z2 Tablet will come with a 10.1 inch full HD display with a resolution of 1920 x 1200 pixels. This new Android tablet from Sony will apparently be powered by a quad core 2.3GHz processor with 3GB of RAM and will come with 16GB of included storage. Should you need additional storage, the Xperia Z2 tablet will come with a microSD car slot, and it will also feature a 6,000 mAh battery. The Sony Xperia Z2 Tablet will feature front and rear facing cameras, and will come with an 8 megapixel rear camera and a 2 megapixel front facing camera. 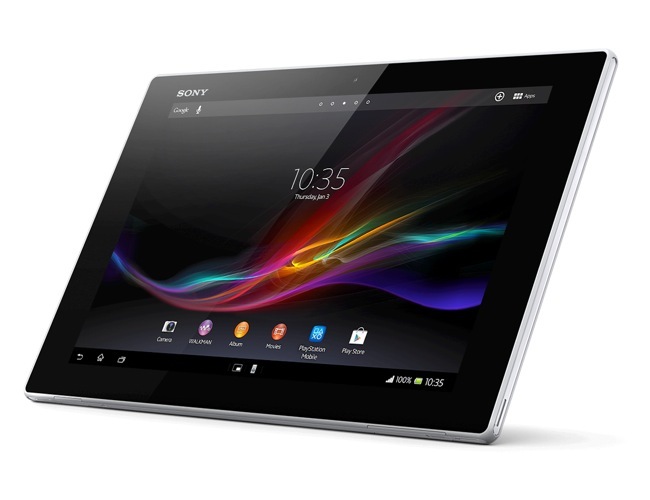 Just like the original Xperia Z tablet, the new Sony Xperia Z2 Tablet will be resistant to both dust and water, and it will come with the latest version of Google’s mobile OS, Android 4.4 KitKat. We are hoping to find out more information about the new Sony Xperia Z2 Tablet later this month, the device is said to be thinner and lighter than the existing model.